What’s Poppin’ Tonight! 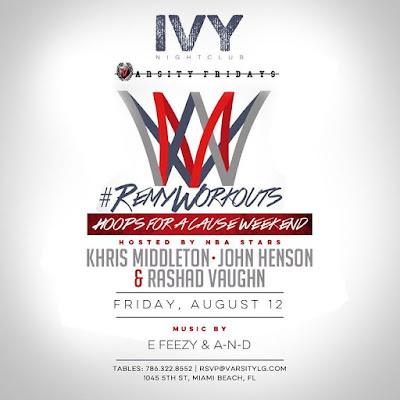 #VarsityFridays presents #RemyWorkouts Hoops for a Cause After Party Hosted By NBA Stars at IVY Nightclub ~ Phresh Hott New! Tonight! 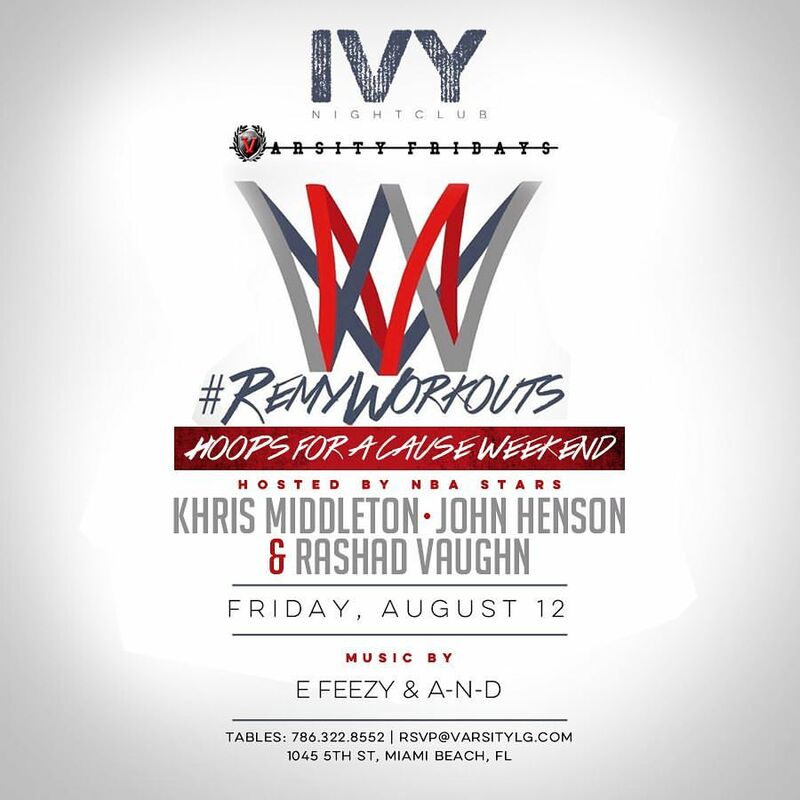 #VarsityFridays " The #1 Friday Night Party in the country" presents #RemyWorkouts Hoops for a Cause After Party Hosted by NBA Stars Kris Middleton, John Henson, and Rashad Vaughn + More at IVY Nightclub. This is Miami's #1 upscale hip-hop club. Powered by Varsity.